To end my 4 part series on the Gold Coast, I curate photos that are taken from the Skypoint Observatory (the building Q10 is actually a residential building), and of course, the Surfers Paradise beach. With our annual passes to Dreamworld, Skypoint Observatory admissions are included; hence, we go both during the day and night. It is actually cheaper to go at night than in the daytime ($10AUD vs $18AUD, respectively if I remember correctly). This post is dedicated to Celalia and Jobana, my beach buddies. 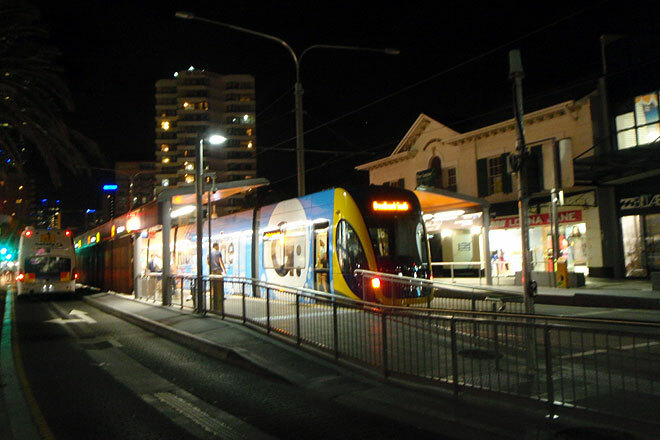 The G, Goldcoast’s own tram system. So new, so chic, so yellow; Lil and I call it the “Bumble G”. View of Surfers Paradise, from Skypoint Observatory. Good advice from MokaC: visit towers at night. Those are the best. Skypoint Observatory lounge, day and night. With minimal photoshopping, it’s unbelievable how these building appear like those on brochures. 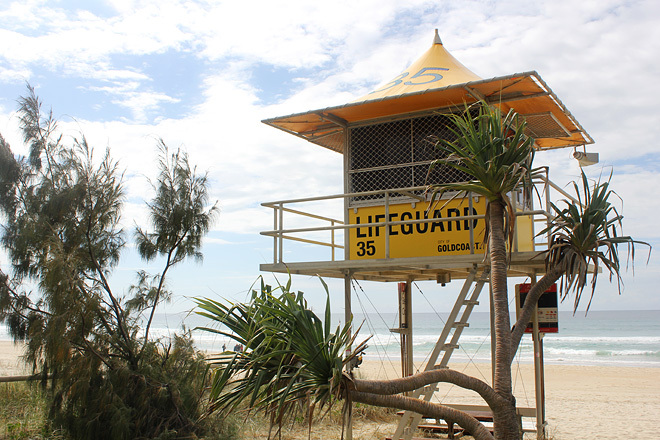 There are rules: one must swim between specified coloured flags so that lifeguards can see you. Left: On the G, they have racks/slots for surfboards. Right: Full moon and sunset on the flight back to Melbourne. God, those night shots are absolutely amazing. I’ve always found the view of city lights very romantic. Very beautiful, but kinda sad too, the way their brightness sometimes drown out the night sky. You’re right about the night sky. Even then, the skies in Australia is amazing. I can see stars most nights.